When Corneal Specialist, Eric R. Mandel, M.D., first opened his practice in 1984, he envisioned a laser vision correction center providing an unparalleled, personalized approach to patient care. With that in mind, every member of the Mandel Vision laser vision correction team has been carefully chosen for their unique skill set and dedication to quality patient care. 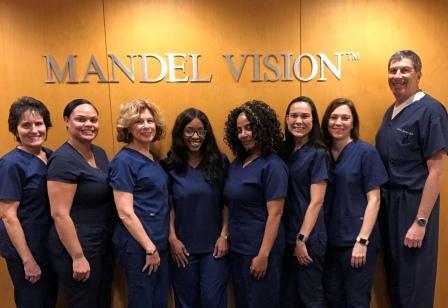 From the moment you enter Mandel Vision, you are greeted by a team of highly trained professionals who all share a common goal: giving you the best LASIK and PRK laser vision correction experience possible. We recognize that you only have one pair of eyes and consider it a privilege that you have entrusted us with your care. Click here to read more about Dr. Mandel. Lori holds an M.A. from the University of Maryland and has been a member of the staff since 1990. Prior to her position as Practice Administrator at Mandel Vision, she was an audiologist for 15 years. She brings considerable knowledge from her medical background, combined with a business acumen, to navigate the ever changing climate of medical practice management. Danielle has worked in ophthalmology in front office administration for more than 16 years and we’re so glad she joined our staff in 2004. 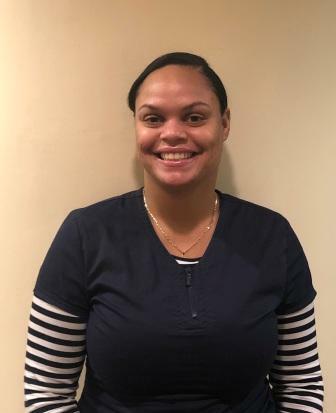 She was originally hired as a receptionist but it was evident from the start that she was overqualified for that position, and was quickly promoted to her current position as our Front Office Manager. She is responsible for the supervision of four front office employees and is an invaluable member of our team. The consummate multi-tasker, Danielle manages multiple phone lines, checks patients in and out for LASIK and general ophthalmology exams while simultaneously overseeing all aspects of the front office. 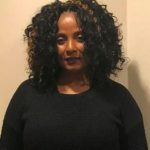 Her job duties include staff training, insurance billing, inventory and ordering of office supplies, in addition to other routine office duties. Her most important role, however, is keeping Dr. Mandel on schedule which she accomplishes with ease, given her keen attention to detail combined with her many years of experience in ophthalmology. Danielle is from Ohio and is the proud mother of a 27 year old son, and college student, Andre. 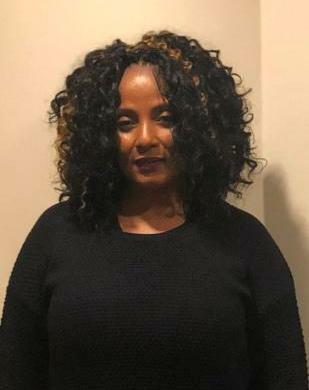 She obtained her Associate’s Degree in Business Management from SUNY Empire State College and returned to Mandel Vision in December of 2017 after spending 2 years working in Atlanta. She is a Junior Minister in her church, who works with the new members committee and the women’s ministry. She is also an extremely talented singer. Her passions include walking, reading and spending time with family and friends. With over 25 years of experience in private practice ophthalmology, Kim has worked as our lead ophthalmic technician and clinical administrator for more than 19 years, managing a staff of 7 employees. Her skills were honed in Seattle and Chicago where she worked for two of the most prestigious refractive surgeons before relocating to Manhattan in 1999. As a JCAHPO certified ophthalmic technician (C.O.T. ), for more than 20 years, her expertise lies in obtaining your refractive error prior to laser vision correction, as well as during routine ophthalmic examinations. For those patients who are not candidates for PRK or LASIK laser vision correction surgery, Kim is also a skilled contact lens fitting technician. Additionally, she is your point person for all questions regarding medications, as well as glasses and contact lens prescriptions. She is responsible for writing our LASIK blog: Eyes on a Clearer World and she maintains our social media presence and our company website, including all email correspondence. Kim is currently attending Hunter College to finish pre-requisite courses so that she can apply to SUNY College of Optometry. When not studying, Kim enjoys writing, golfing, swimming and running. Missy joined Mandel Vision in 2003. A previous tour guide who lead groups on adventures in the Arizona desert, she was a natural choice as a laser vision consultant. Lori Silver, our Practice Administrator, was lucky enough to have Missy as a tour guide during her visit to Arizona in 2002. 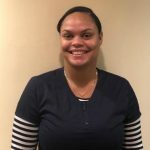 She was so taken with Missy’s easy-going personality and enthusiasm that she immediately recruited her to work at Mandel Vision. Prior to accepting the position, Missy researched Dr. Mandel and decided to have monovision LASIK. She was so thrilled with her vision after her LASIK surgery, as well as her experience with Dr. Mandel and the Mandel Vision Staff that she later accepted a position as a laser vision consultant. She has been an asset ever since. Missy also performs some of the preliminary diagnostic tests for our laser vision correction candidates and then educates patients after they meet with Dr. Mandel about what to expect during and after their procedure as well as the cost and financing options. She is your point person for care credit financing as well as any concerns before, during and after laser vision correction. In her free time, Missy enjoys the theatre and all of the culture NYC has to offer. Missy enjoys hiking, horseback riding, and gardening. Her interests include holistic healing and nutrition. In her spare time, she does voice over recordings and had a previous career in acting many years ago. Karem joined our Mandel Vision Team as a laser vision consultant in March of 2017. Originally from Nicaragua, she has lived in New York for the past 21 years. Karem is fluent in Spanish and has a bachelor’s degree in Business Administration/Marketing from the University of Mobile, Alabama. 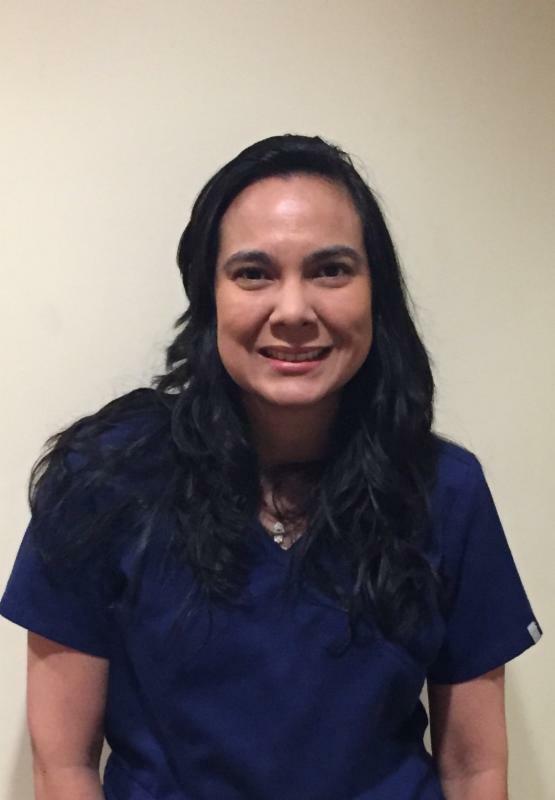 A Certified Patient Service Specialist, she has worked in ophthalmology primarily as a surgical coordinator for 15 years which involved counseling patients on surgery in multiple ophthalmic specialties. This afforded her an almost seamless transition in her position with us. As a laser vision consultant here at Mandel Vision, her responsibilities include performing some of the preliminary diagnostic tests for our LASIK and PRK patients. Then, after our patients meet with Dr. Mandel and are deemed appropriate candidates for LASIK or PRK, Karem educates them about what to expect during and after their procedure as well as the cost and financing options available. She then follows her patients throughout their laser vision correction experience, offering guidance and support before, during and after their LASIK and PRK surgery. In her spare time, Karem enjoys photography and reading. At Mandel Vision, every member of our staff is a trusted, valuable member of our team. Call our office at 888-866-3681 to schedule a FREE LASIK or PRK laser vision correction evaluation, with corneal specialist Eric R. Mandel, M.D., to see firsthand the quality level of patient care they all provide.